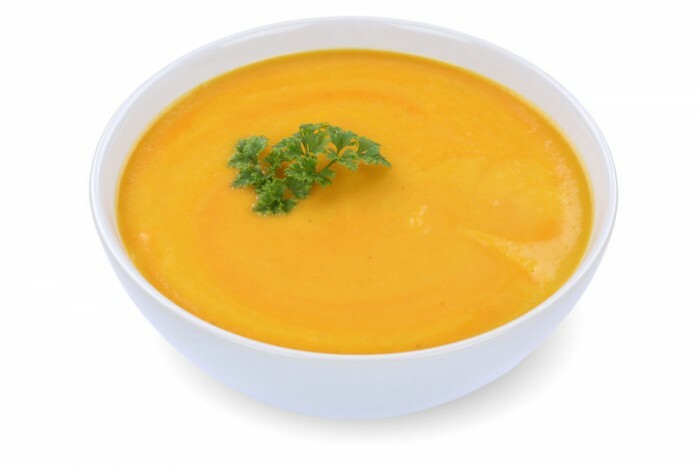 You can’t beat a delicious bowl of soup to warm you in the Winter months. Quick, easy and nutritious soups make fantastic starters, or a lovely light lunch with some crusty bread. Soup making is a great skill for children to learn as there are so many variations to be explored! Follow a recipe; follow food safety & hygiene rules; tidy away; use measuring cups and spoons; use a jug to measure liquids; chop using bridge/claw safely; snip herbs with scissors; use a vegetable peeler safely; use the hob (with adult supervision). Knife, chopping board, peeler, measuring spoons and jug, saucepan, wooden spoon, blender. Fry/sweat the onion and garlic gently in the oil for 5 minutes without browning. Add the carrots, ginger and some seasoning. Cover and continue to fry gently for a further 10 minutes, stirring occasionally. Add the stock, bring to the boil and then simmer for 15 minutes, or until the carrots are tender. Purée the soup in a blender and serve garnished with chopped fresh herbs. Carrots are really, really good for us. Their orange colour is due to their carotenoid content (beta carotene/Vitamin A), which is thought to help protect against heart disease - so the brighter the orange of your carrot the better it is for your health! 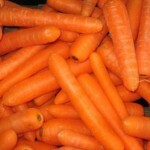 Carrots are also a good source fibre and other minerals. 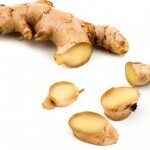 Ginger is a type of spice used to give recipes a little extra kick!